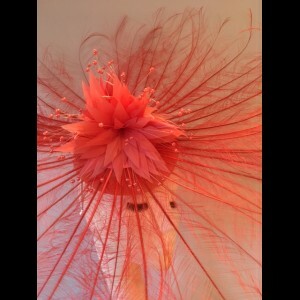 Stunning large burnt ostrich headpiece in Coral. Gorgeous & Glorious Coral Burnt Ostrich Headpiece. 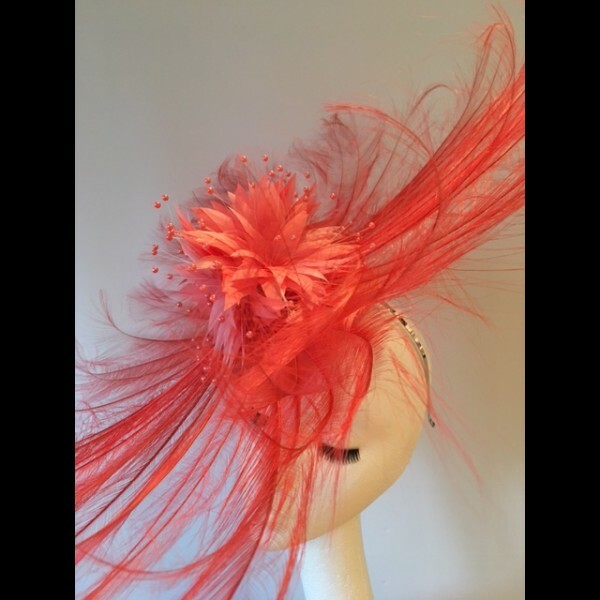 A popular style for Royal Ascot, flambuoyant burnt ostrich feathers in coral atop a small coral sinamay base. Also available to hire in RED, NAVY, BLACK, PURPLE, ROYAL and IVORY/GOLD.